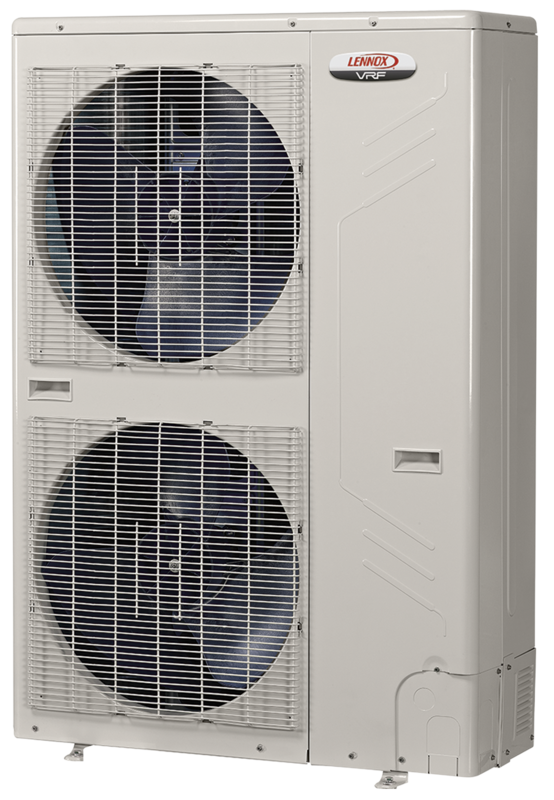 Lennox® Mini-VRF heat pump units offer a heating and cooling solution capable of conditioning up to 9 zones from a single system. The Mini-VRF is ideal for light commercial and residential applications requiring high-efficiency conditioning of multiple zones. nverter Driven Compressor – Reduces energy usage by varying the compressor speed in response to the capacity demand at each indoor unit. High Efficiency Operation – SEER efficiencies up to 17.2 and HSPF efficiencies up to 9.9 offer some of the most efficient systems on the market. Low Noise Operation – Sound levels as low as 41 dB(A).